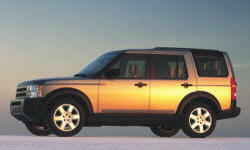 Land-Rover LR3 Pros and Cons | Page 1 of 1 | Why Not This Car? What drives people to buy (or not buy) a certain car? TrueDelta's members share Land-Rover LR3 pros and cons based on their real-world driving experiences. The cargo capacity with the rear seat folded down is truly amazing. You could fit a pack of tall dogs back there. Lots of suspension and fuel system problems. Fairly composed even under hard acceleration. Really good sound insulation. Tows effortlessly with lots of cargo loaded. 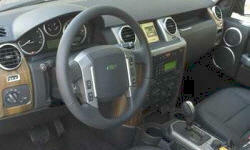 For a 2.5 tonn off road vehicle, it rides, drives like a car. Exceptional off road ability. I've owned this LR3 for the past 5 years. Bought it used from a private seller with extended warranty. I am biased toward Land Rovers (this is my 3rd one) and the most reliable one so far. It somehow manages to ride the fence between luxury and utility. It also has just a hint of that quirky british "stiff upper lip" feel to it. Three rows of seats. Seven people can actually fit. Two child sets and an adult can fit in the second row. Two human beings can fit in the third.